Of all the books I’ve written, the one that saddens me the most is Light Bringer because it never got the notice I thought it deserved. I don’t know what happened — perhaps I never knew how to categorize it, perhaps I am terrible at marketing. Perhaps a lot of things. But there it sits, a magical novel without much of a readership. I understand the importance of categorizing novels — giving them a genre — because people like to know what they are getting. But what if the novel you wanted to write doesn’t fit within a genre? Are we supposed to not write it? But truly, we can only write the novels only we can write. After following the path for several minutes, they came to a place where the stream narrowed to no more than four feet. Chester bent over and began hauling out one of the boards stashed beneath a Douglas fir. The boards, withered a silvery-gray, were two inches thick, ten inches wide, and about six feet long. With Rena and Philip helping Chester, it took only a few minutes to place the boards bank-to-bank, forming a makeshift bridge. “I set these here for Gertie after she slipped and hurt herself wading across the stream,” Chester said. Chester nodded. He stepped onto the plank bridge and proceeded to the other side. Rena followed him, then turned and smiled encouragingly at Philip. A clear blue nimbus of trust emanated from Philip. Without hesitation, he clumped across the bridge. In the full of the sun, the meadow grasses shone emerald. “Hurry, hurry,” they whispered. Rena set off at a run. “There’s a pathway,” she heard Chester call. She kept running, needing no footpath to lead her to their destination. She could feel the music tugging at her, guiding her, singing her forward. And then there it was, spread out before her in a shallow thirty-foot bowl. A lake of flowers—chrysanthemums and tulips, daisies and daffodils, lilies and columbines and fuchsia—all blooming brightly, all singing their song of welcome. Standing on the brink, waiting for Philip and Chester, she could not lift her gaze from the flowers. Many of them were familiar, but others, in seemingly impossible tints and shades, were new. She inhaled, filling her nose with the intoxicating scent, and felt herself losing her balance as if she were drunk. She flung out an arm to steady herself, and barely missed hitting Chester. Philip came to stand beside her. Hearing his sharp intake of breath, she knew he felt as stunned as she by the sight, sound, smell of the flowers. 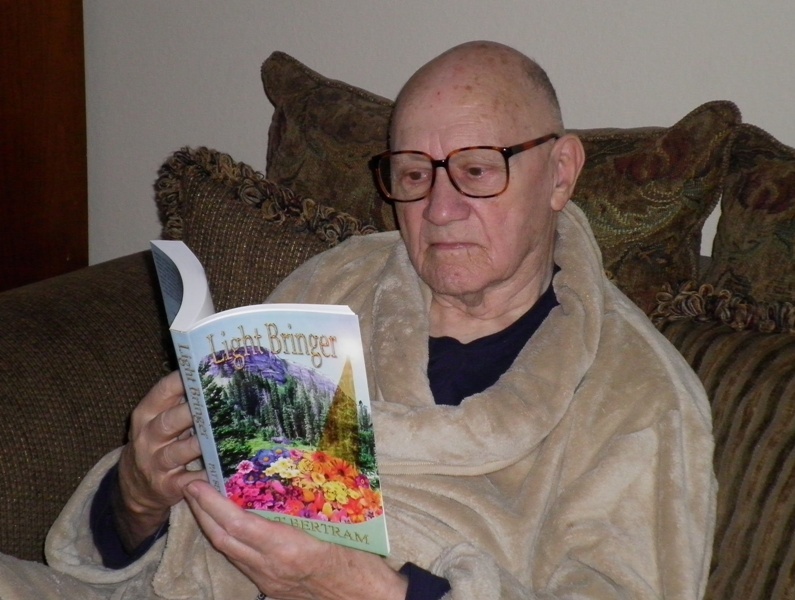 If you would like to read more of this magical book, you can find it on Amazon: https://www.amazon.com/Light-Bringer-Pat-Bertram-ebook/dp/B004U39WQ6/. And hey, if you can think how to categorize it, let me know! I know what you mean. One of my books is different than the others. It’s a psychological suspense and my best book, I think. I tried changing the title, new cover, description, categories, etc, but none of that did a thing for it. Was driving around, listening to a couple of music stations on SiriusXM, and somebody said, probably Kenny Chesney or Jimmy Buffett, that you never know what the public will like. Guess we can just put it out there and see what happens or doesn’t happen. That’s pretty much what I think — if we can’t write books people clamor for, all we can do is put it out there and hope for the best.